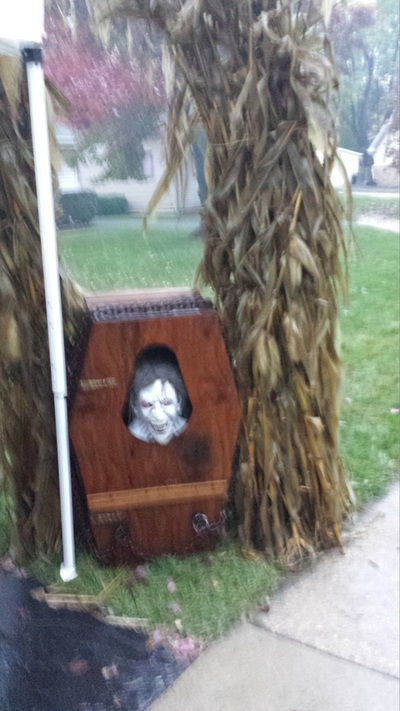 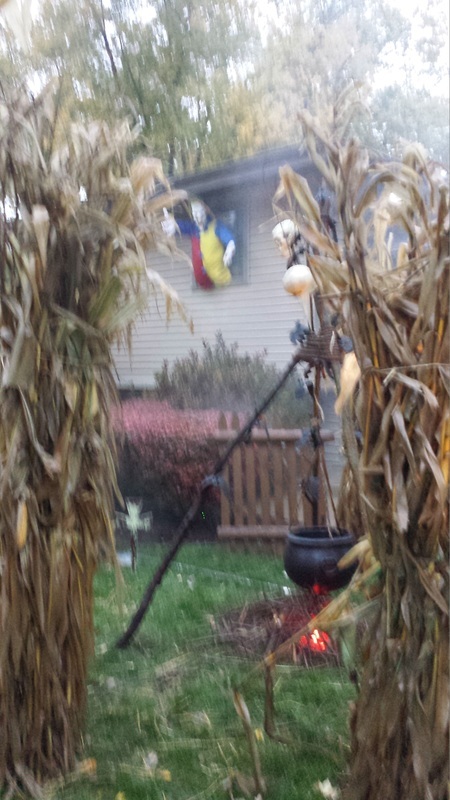 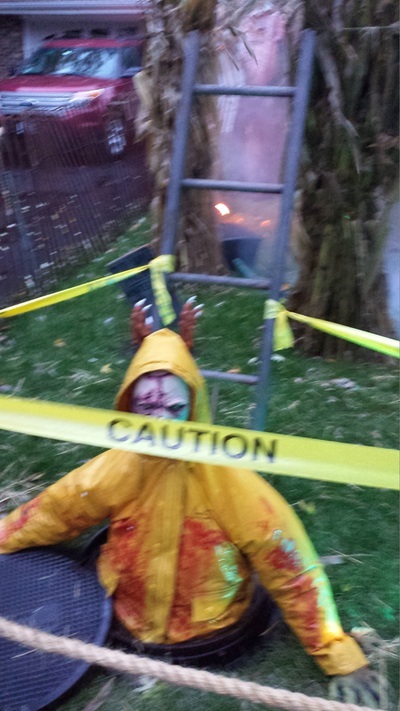 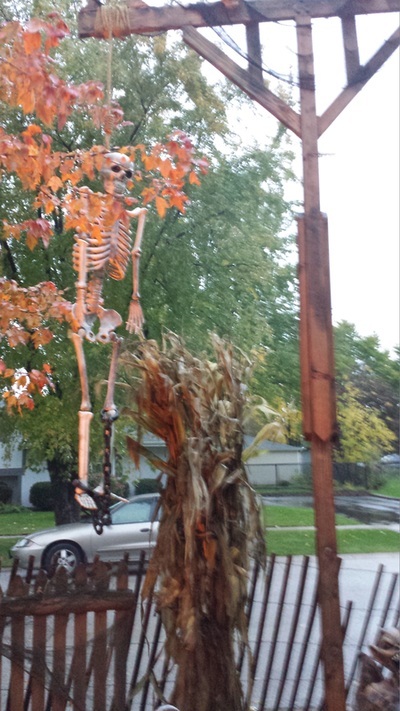 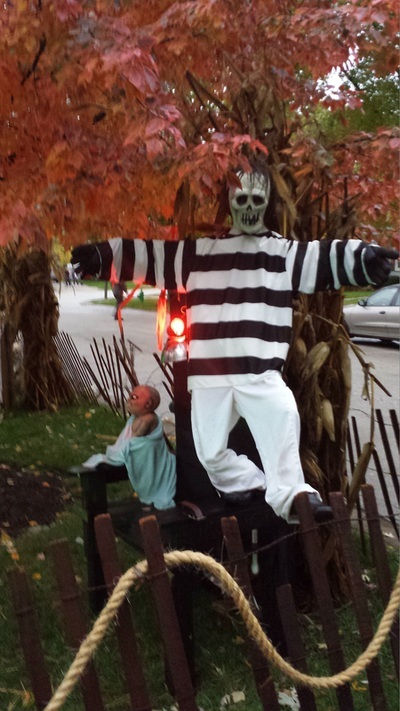 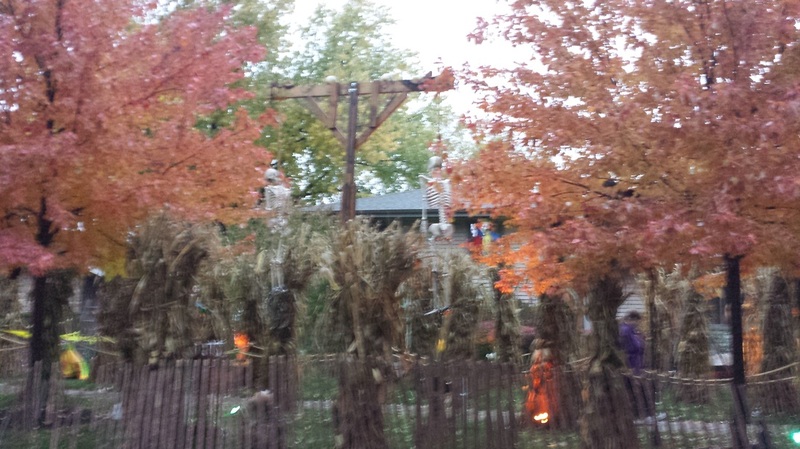 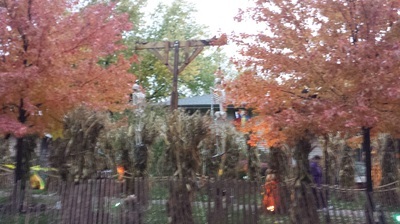 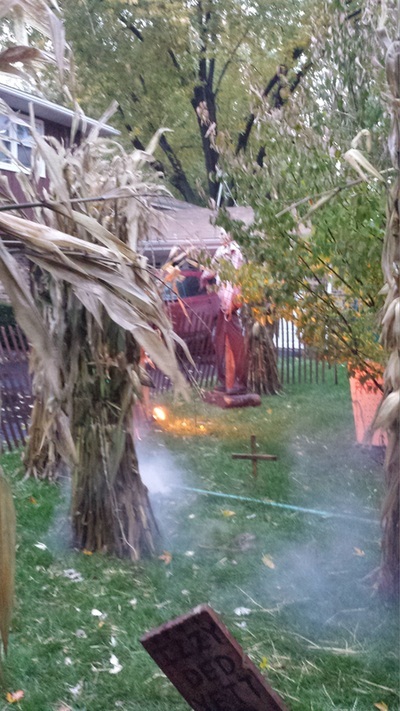 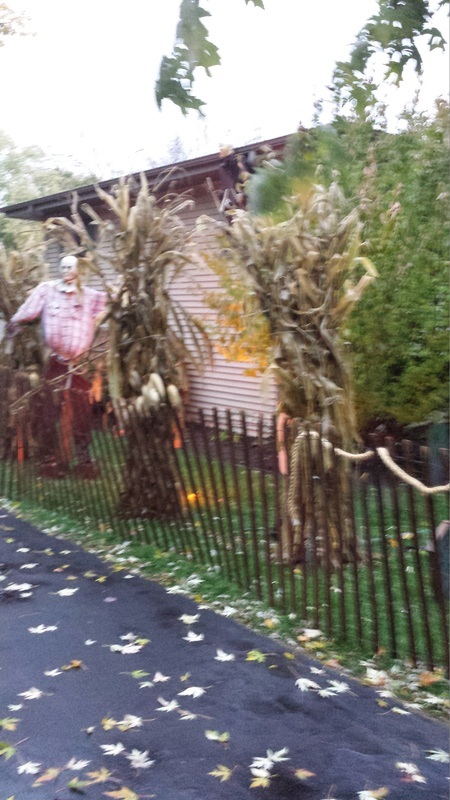 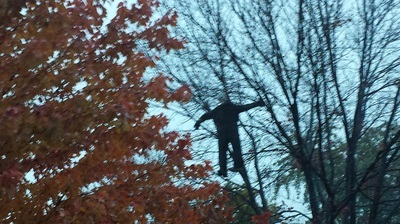 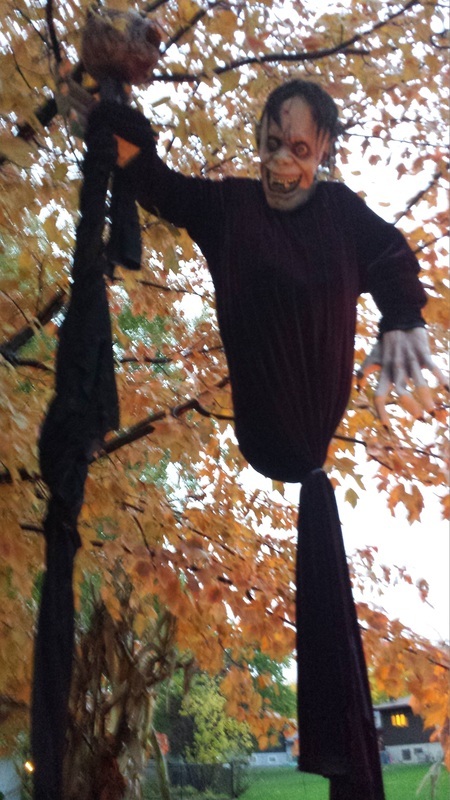 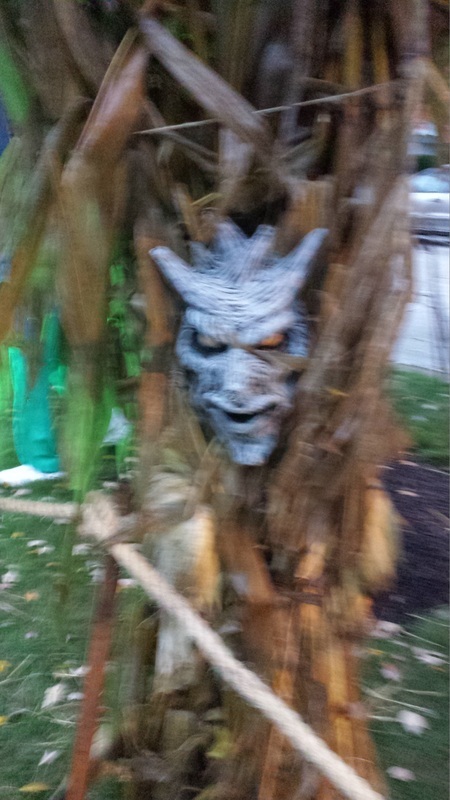 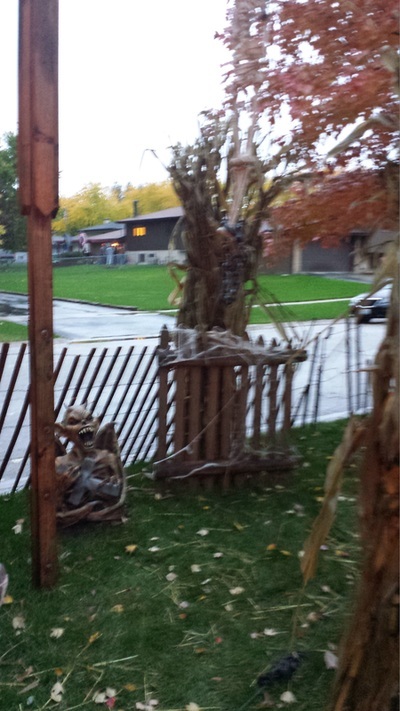 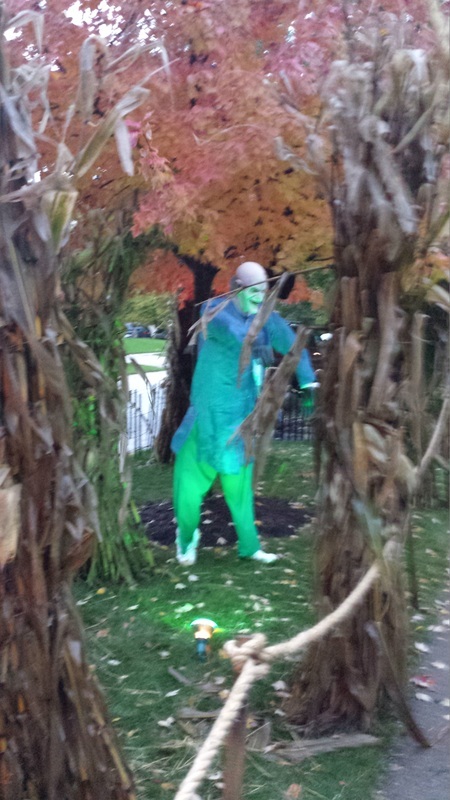 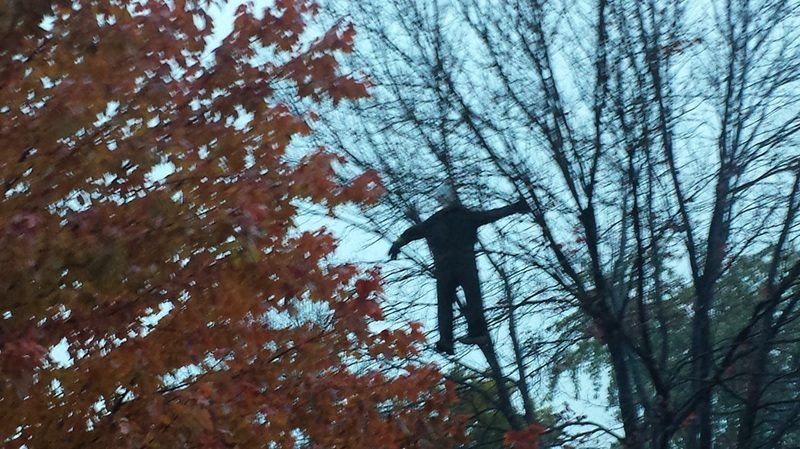 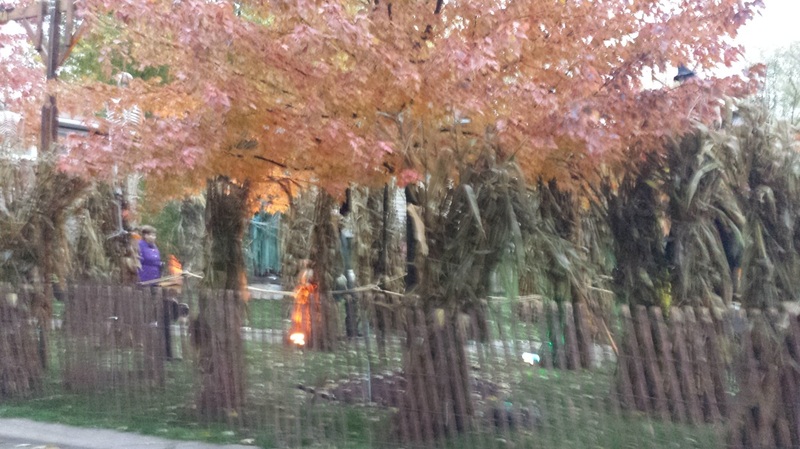 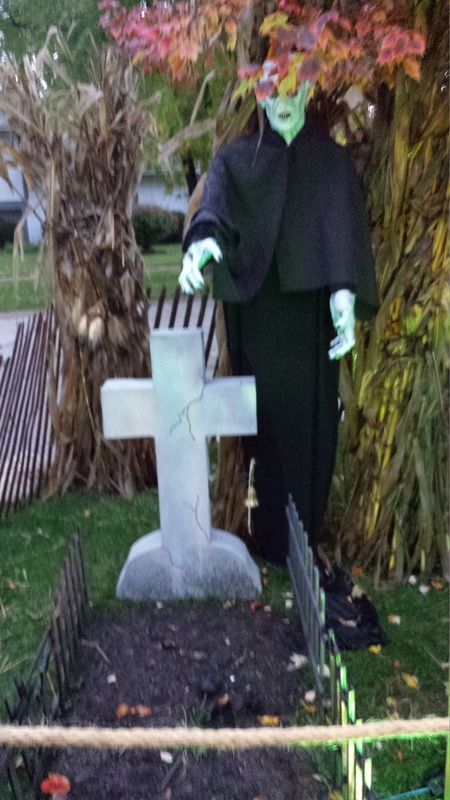 This particular display is set up on either side oft he sidewalk in front of the haunt property, with many props dangling from trees or from various setups. 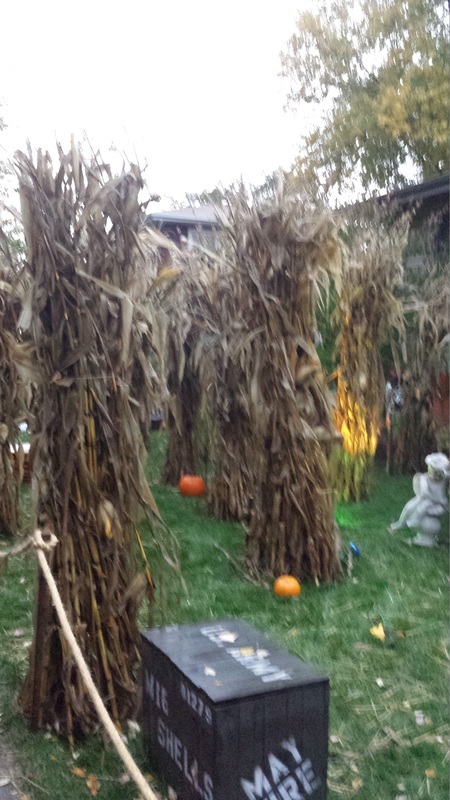 Utilizing both parts of the lawn in this way creates a nice pathway for people to walk through, and also allows for numerous spots for live actors to hide and jump out from. Much of the setup was realized with items that one might find if they were walking through a recreation of an old early American village - from haystacks to wooden fences to gallows to old tombstones. 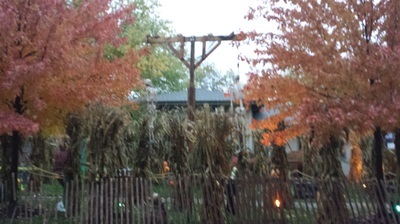 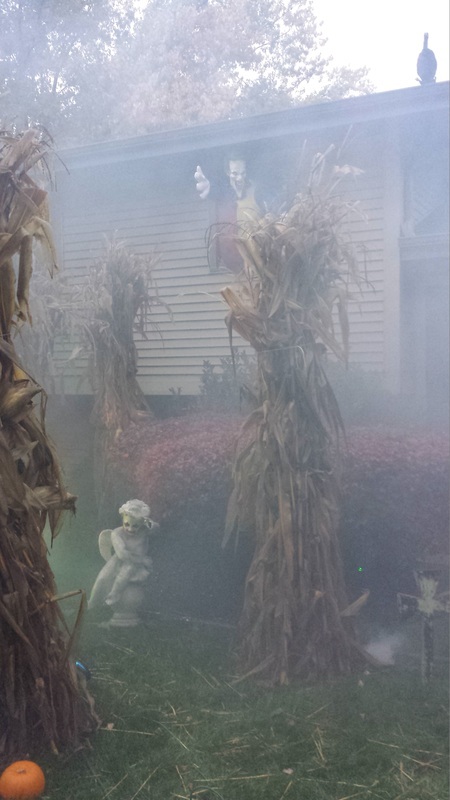 This, coupled with the rain and the fall colors on the trees, gave a familiar yet creepy feel to the entire setup. 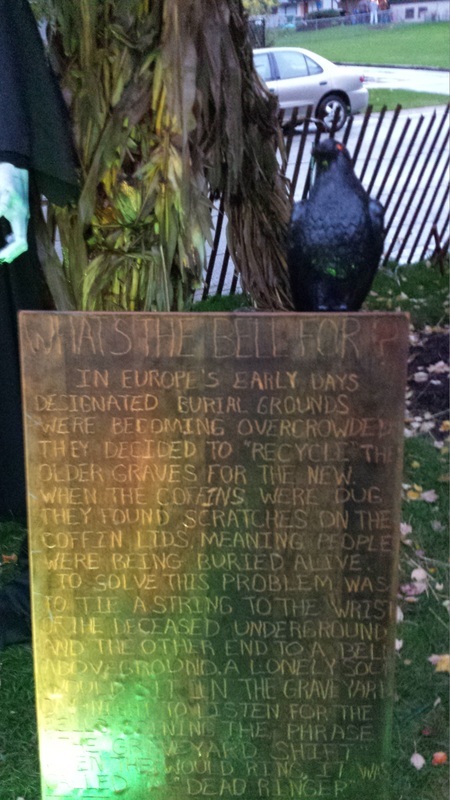 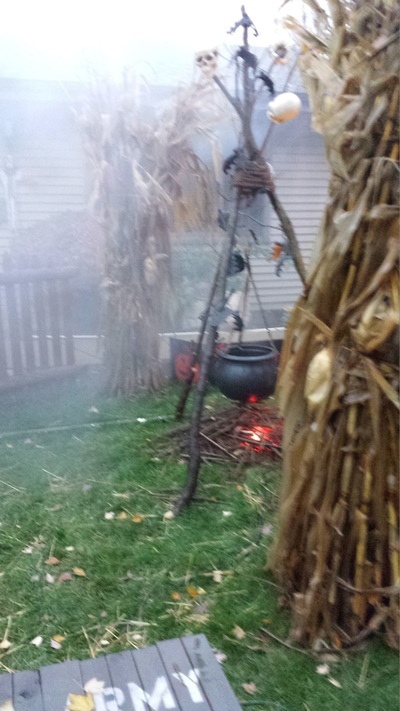 The various props included a witch's cauldron, several hanging skeletons, a witch on a broom suspended in mid-air, coffins, tombstones, and even some educational plaques that told stories about where Halloween legends came from. 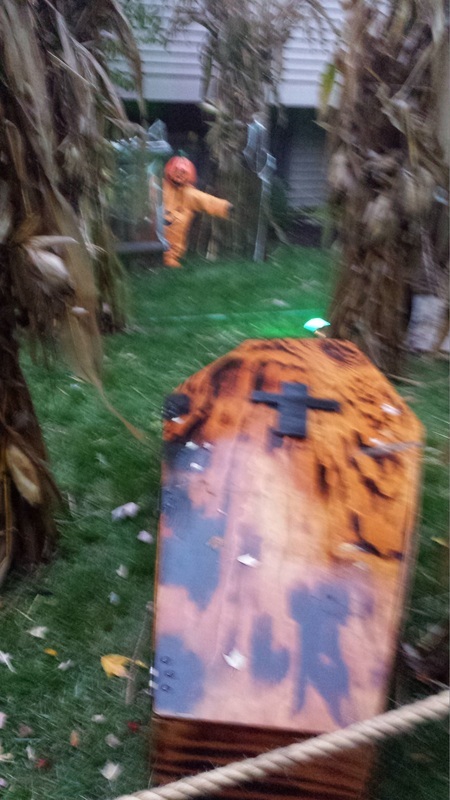 Overall, it was enjoyable seeing all of the different props while at the same time watching out for the live actors who were patrolling. 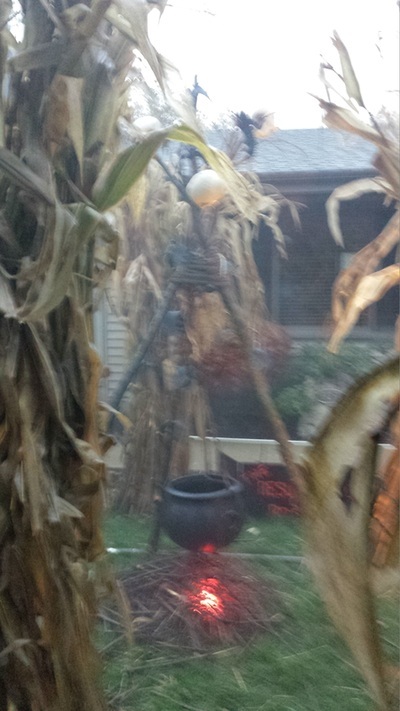 In short, our first visit was a good one, and the weather really set a nice tone. 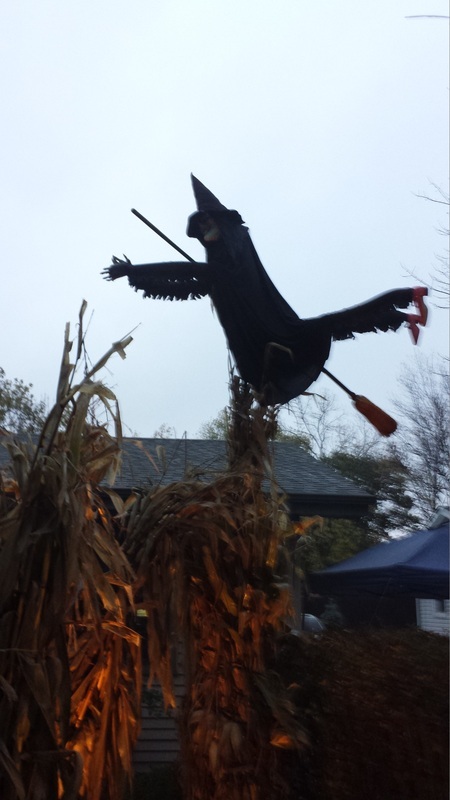 We were happy to see that the display was running despite the rain, and it definitely gave us enough interesting things to see so that we'll be sure to put in on our list for 2014!